Arnold finally gets answers about the whereabouts of his missing parents in the highly anticipated, brand-new Hey Arnold! : The Jungle Movie, premiering on Nickelodeon Iberia on Friday 23rd February 2018 at 20:30 on Nickelodeon Portugal and at 21:30 on Nickelodeon Spain (España)! 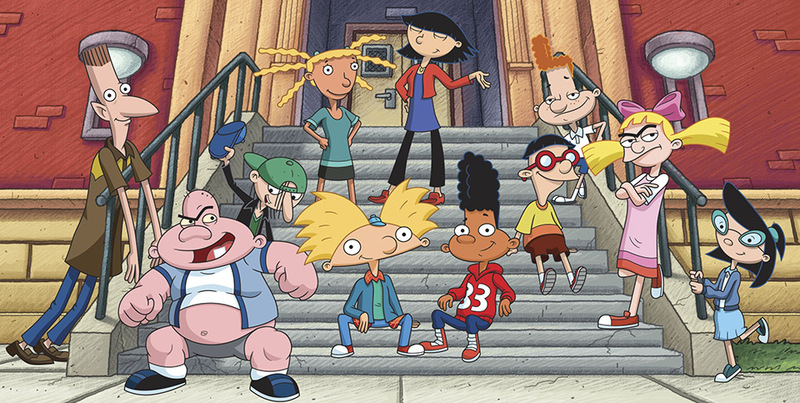 Featuring a storyline picking up where the original TV series ended, Hey Arnold! 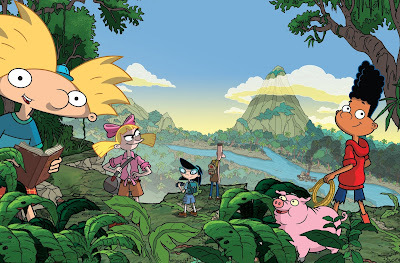 : The Jungle Movie, locally titled ¡Hey Arnold! Una peli en la jungla in Spain, follows the kids on the field trip of a lifetime, where Arnold and his friends embark on a quest to achieve his dream of finding his missing parents. 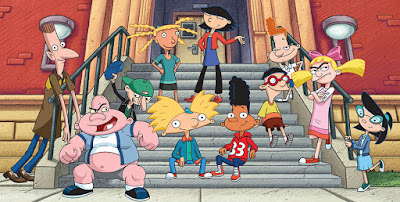 Co-written and executive produced by the TV series’ original creator Craig Bartlett, the US-English dub of Hey Arnold! : The Jungle Movie features original voice cast members Francesca Marie Smith (The Prince of Egypt) as Helga and Anndi McAfee (Tom and Jerry: The Movie) as Phoebe, alongside dynamic new voice talent Mason Vale Cotton (Mad Men) as Arnold and Benjamin “Lil’ P-Nut” Flores, Jr. (Game Shakers) as Gerald. Lane Toran (original voice of Arnold) and Jamil Walker Smith (original voice of Gerald) are also amongst the returning cast members, lending their voices as Che and Paulo, two members of the boat crew in San Lorenzo. Alfred Molina (Spider-Man 2) stars as resident villain, Lasombra. 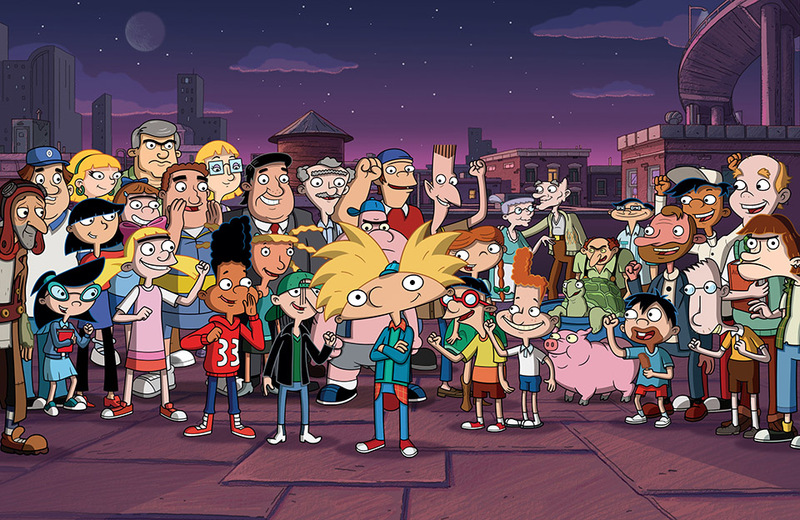 Viewers can visit the Hey Arnold! Facebook page and Instagram, to get a look at the TV movie. Fans can also celebrate the premiere by turning themselves into their favorite Hillwood characters at NickSplat’s interactive “Hey Arnold! Yourself” website NickSplat.com/heyarnoldyourself. Hey Arnold! : The Jungle Movie made its world premiere on Friday 24th November 2017 on Nickelodeon USA, and is expected to roll out on Nickelodeon channels and programming blocks globally in the first half of 2018. The movie will be released on DVD in the USA (Region 1) on Tuesday 13th February 2018. 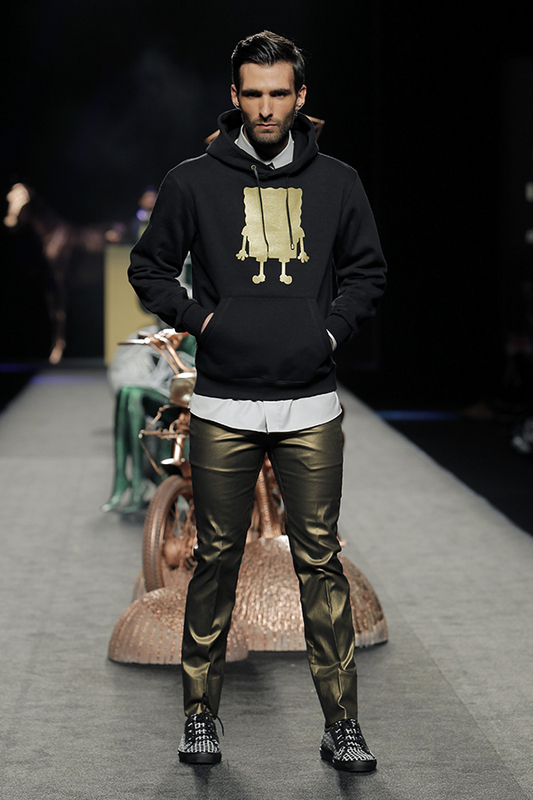 More Nick: Nickelodeon Spain And Ion Fiz Collaborate For New SpongeBob Gold Collection! Follow NickALive! on Twitter, Tumblr, Google+, via RSS, on Instagram, and/or Facebook for the latest Nickelodeon Iberia and Hey Arnold! : The Jungle Movie News and Highlights! Europe– Preschoolers will be smiling and styling with Sunny and her friends in Nickelodeon's brand-new animated series, Sunny Day, premiering Monday 5th February 2018 at 09:20 on Nick Jr. Spain (España)! The series (40 episodes) centers on Sunny, a 10-year-old master hairstylist and entrepreneur who uses creative problem-solving to tackle any dilemma that arises in her seaside town of Friendly Falls. The characters in the series celebrate individuality and self-expression, while the show’s social-emotional curriculum highlights leadership, innovative thinking and teamwork. Sunny Day is developed and produced by Silvergate Media (Peter Rabbit), and airs regularly at 09:20 on Nick Jr. España. Each episode will encore the same day at 18:25. Sunny is a confident and creative natural leader who runs her own hair salon in the town of Friendly Falls. When adventure calls, Sunny sets out to save the day with her can-do attitude, salon-on-the-go Glam Van, best friends and colleagues, Rox and Blair, and her dog Doodle. Each episode of Sunny Day features a unique digital extension where kids and their parents can watch fun, live-action hairstyle tutorials that are tied directly to the hairstyles featured in each episode and narrated by Sunny. In the first ever episode of Sunny Day, "Friendship Day" ("El Día de la Amistad"), Sunny’s best friend, her talking dog named Doodle, mistakenly believes Sunny has forgotten him on Friendship Day and goes out in search of a new friend. When Doodle is captured by Scratch, the Dog Catcher, Sunny will stop at nothing to get her friend back! El Día de la Amistad: Doodle cree que Sunny se ha olvidado de él en el Día de la Amistad y sale en busca de un nuevo amigo. Cuando Doodle acaba en manos de Scratch, el cazaperritos, Sunny se enfrenta a él para que le devuelva a su amigo. Sunny Day made its world debut on Nickelodeon USA in August 2017, and will be rolling out on Nickelodeon and Nick Jr. channels worldwide from Spring 2018. Online at nickjr.es, parents and children can find out more about Sunny Day and watch exclusive video clips from the series! Fans can like the official Nick Jr. España Facebook page for the latest Nick Jr. news, highlights, video clips, competitions and more. More Nick: Nickelodeon Italy To Premiere 'Massive Monster Mayhem' On Wednesday 17th January 2018! A cutting edge, experimental android navigates the perils and wonders of being a teenager in I Am Frankie, Nickelodeon’s newest serialized live-action show, premiering Monday 12th February 2018 at 18:05 on Nickelodeon Teen France! Locally titled Frankie 2.0, the series tells the story of Frankie Gaines (Alex Hook), who looks like any other human girl, but harbors a big secret--she functions as a high-tech computer, complete with internet access, extensive memory and more. In fact, you could say she's Wired Differently than other teenagers! After escaping from tech company EGG Labs to avoid being used for evil purposes, Frankie enrolls in high school in an attempt to pass as a typical teenager. Despite having an inside full of wires and circuits, Frankie begins to adapt well by bonding with her new best friend Dayton (Nicole Alyse Nelson), juggling loads of homework and dealing with boy crushes, all while keeping her true identity a secret. Suspicion soon arises about Frankie, as popular girls Tammy (Mohana Krishnan), Lucia (Uriel Baldesco) and Makayla (Kristi Beckett) question her quick victory during a math competition. To complicate things even further, Frankie’s wiring goes haywire as she starts experiencing human emotion, creating more challenges and adventurous fun. How long can she keep her true identity a secret while maintaining herself as a normal teenager? Online at nickelodeon.fr, fans can find out more about Frankie 2.0 and watch Nickelodeon's launch trailer for the series. 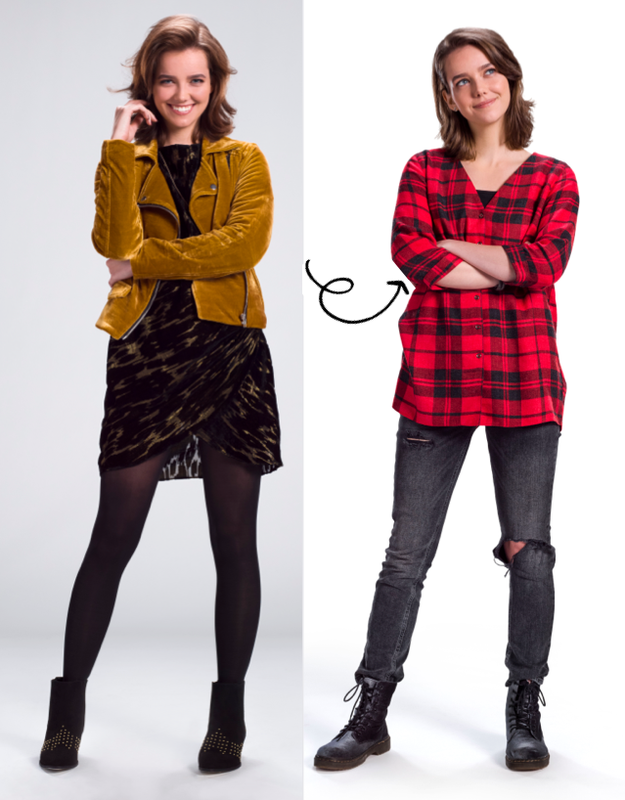 Ne manque pas Frankie 2.0 ta nouvelle série, à partir du lundi 12 février à 18h05 sur NICKELODEON Teen ! Filmed in the new state-of-the-art Viacom International Studios in Miami, I am Frankie was originally produced as Yo Soy Franky by Nickelodeon Latin America in Colombia. The series is created by renowned Argentine writer Marcela Citterio. The English language version is produced by Paradiso Pictures and Nickelodeon Latin America. I Am Frankie received its world premiere on Monday 11th September 2017 on Nickelodeon USA, and is currently being distributed to Nickelodeon’s global audiences spanning 170+ countries and territories via the brand’s more than 80 channels and branded blocks. The series was recently greenlit for a second season, which is slated to start production in March 2018 in Miami, Florida. Follow NickALive! on Twitter, Tumblr, Google+, via RSS, on Instagram, and/or Facebook for the latest Nickelodeon Teen France and I Am Frankie News and Highlights! If you love mysteries, adventure and complex family dynamics, you need to be watching Nickelodeon’s Hunter Street, the show about five foster children entangled in an epic family mystery that leads them on a quest for answers. Justine Magazine recently caught up with Hunter Street star MaeMae Renfrow, who plays the role of fiercely protective sibling Tess, to get some scoop on the show. She gave Justine Magazine the latest Hunter Street info and shared some personal details that will make you love her even more. Get to know MaeMae Renfrow in Justine Magazine's super interview below! Justine Magazine: What drew you to your character, Tess, in Hunter Street? JM: What can we expect from Tess in Season 2? JM: Tess is an avid reader. What books are on your TBR pile? Or what books have impacted you the most? JM: And we also love a good mystery! What mystery shows have been your favorite? JM: We know that you love to travel. What has been your favorite location for Hunter Street filming so far? JM: The Hunter family is very close knit on Hunter Street. What advice do you have for teens who struggle with tough family dynamics at home? JM: What do you miss most about living in North Carolina? JM: What do you love most about living in sunny California? JM: What is on your radar for the rest of 2018? JM: Where do you see yourself in 5 years? Mystery and adventure return in Season 2 of the live-action series Hunter Street, airing weekdays at 7/6c on Nickelodeon USA! Season 1 followed the journey of five foster kids on a quest to find their missing parents after they mysteriously disappear. This season, the Hunter family is faced with another mystery when their Dad is accused of a crime, and it’s up to the kids to crack the case and clear his name. The siblings set out on a quest for clues, leading them on an epic and suspenseful adventure; they come across secret organizations, puzzling clues, secret rooms, unexpected revelations – and some exciting new additions to the family! Hunter Street stars Stony Blyden as street-smart Max; MaeMae Renfrow as the independent and resourceful sister Tess; Kyra Smith as the free-spirited youngest Hunter sister Anika; Daan Creyghton as Sal, the genius of the bunch; and Thomas Jansen as the fiercely protective eldest brother Daniel. Joining the cast in season two is Wilson Radjou-Pujalte as Jake Hunter. 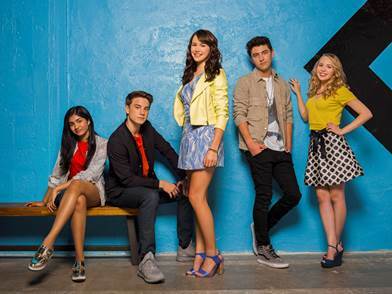 Watch a exclusive video clip from Hunter Street season two here on Justine Magazine! Michael Dante DiMartino looks back at recent developments in the Avatar-verse. 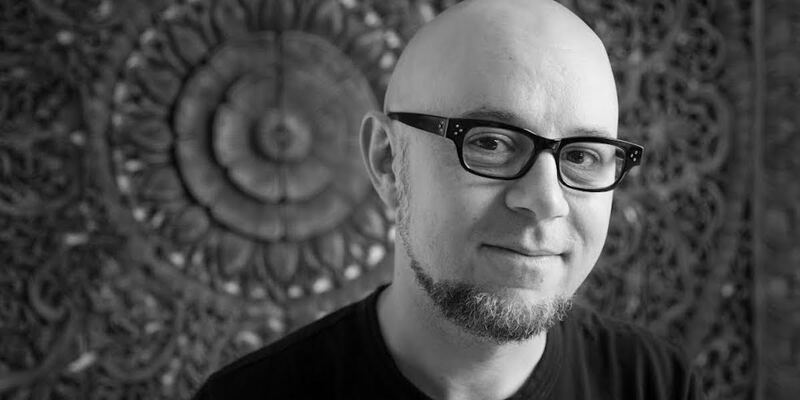 Best known for his role as co-creator of the epic Nickelodeon series Avatar: The Last Airbender and The Legend of Korra, DiMartino also recently published Warrior Genius, the second book in his Rebel Geniuses trilogy. 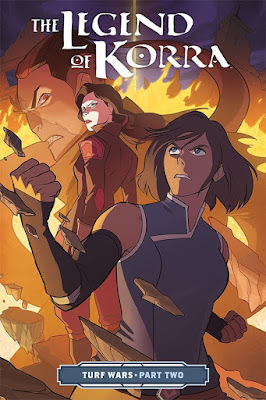 DiMartino spoke to Hypable about The Legend of Korra: Turf Wars, Dark Horse’s three-volume original graphic novel which officially continues the saga of Korra, Asami and the rest of the cast from the beloved Nickelodeon animated series, plus reveals how his own experiences have impacted his work, and what’s ahead for his further creative pursuits. How is the [The Legend of Korra: Turf Wars] series going? It’s three volumes, and I just finished the script for the third volume and finished that little story arc. It’s been a long-gestating project, but it turned out really cool, so I’m really excited. What can you tell us about the overall arc of the story? Once people read Volume I they’ll get a better sense, but the villain who emerges out of this story goes through a transformation of sorts, and becomes a bit more powerful and dangerous and scary…. it’s the type of villain that I’ve been wanting to do for a while, and it fits in with what’s going on in Republic City. Yeah, that’s probably the biggest one, but it’s more extending out from the show. The biggest challenge of this was that there were too many storylines! It’s the same problem I have with my book. We had all these characters, especially with Avatar, there’s like a million characters, and all these storylines that I needed to deal with. There’s also a presidential election going on in Republic City. I have to ask, were you at all inspired by current events? That’s so funny. I tried to get her in the comic — not Melania! I tried to get Buttercup Raiko in there, but it just didn’t work out. She was one that I couldn’t organically weave into the story. How much are you working with your Avatar co-creator Bryan Konietzko on Turf Wars? I basically would pitch him ideas, and we would go back and with developing the stories, and stuff he wanted to see in the books. And he’s also been helping out consulting on the art with [artist] Irene [Koh]. So he’s definitely involved in making sure it feels like the show! [Turning to Warrior Genius] do you have to get in a different head space to write the villainess of the series? Nah, I guess that stuff just comes naturally from Avatar and Korra. You’re never doing it from [the villains’] point of view, but you are trying to get into the characters’ heads and figure out where they’re coming from. [Nerezza’s] motivations get much more fleshed out and there’s some of her backstory, and it definitely deepens the characters and the world, and their relationships. Does being a dad influence the way you work on your stories? Not so much with this book, but I am more aware of kids’ books, and stories for kids. Because my wife and I love books, so we just want to get them a lot of books! It’s one of their main toys in the morning, putting out a bunch of books for them to check out. We read to them a lot, but they’ll also just sit there with a book and play with it! Seeing through their eyes, what makes something interesting in a book to them — obviously, it’s not really the plot — there’s so many things moving in the book. So many things you pull and slide, and so they definitely really like those types of things, like textures. There’s a cool book, Never Touch a Monster, it’s got these little prickly things on all the pages and stuff. The books I write, they obviously won’t read them until they’re a little older. But I am excited to one day read them to them, or have them watch Avatar. Do you have any future projects in mind for after you finish Rebel Geniuses? I’ve got a bunch of story ideas, [and] I’m trying to decide which one I want to pursue next, and what format. Maybe graphic novels would be fun — writing Korra was my first graphic novel script, and it was fun to collaborate with one artist on it. I learned a lot about telling a story in that medium, which I really enjoyed. So maybe I’ll explore that down the road! The Legend of Korra: Turf Wars Part 2 and Warrior Genius are available from booksellers and comic book stores today! Click here to read Michael's full interview with Hypable! Arnold finally gets answers about the whereabouts of his missing parents in the highly anticipated, brand-new Hey Arnold! : The Jungle Movie, debuting Sunday (Zondag) 4th February 2018 at 15:00 uur on Nickelodeon Netherlands (Nederland) and at 15:30 uur on Nickelodeon Belgium (België; Flanders)! Featuring a storyline picking up where the original TV series ended, Hey Arnold! : The Jungle Movie, locally titled Hey Arnold! : De Jungle Film, follows the kids on the field trip of a lifetime, where Arnold and his friends embark on a quest to achieve his dream of finding his missing parents. 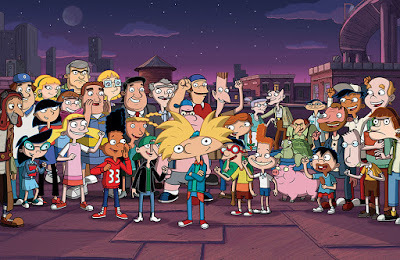 Although currently unconfirmed, it is expected that Hey Arnold! : De Jungle Film will also debut on Nickelodeon Belgium (België; Flanders) on the same day around the same time. Fans can visit Nickelodeon's official Hey Arnold! pages on nickelodeon.nl and nickelodeon.be to find out more about the show, view pictures from the series, and play Hey Arnold! games. Viewers can also visit the Hey Arnold! Facebook page and Instagram, to get a look at the TV movie. Fans can also celebrate the premiere by turning themselves into their favorite Hillwood characters at NickSplat’s interactive “Hey Arnold! Yourself” website NickSplat.com/heyarnoldyourself. Eindelijk krijgen Nickelodeon-fans antwoord op al hun vragen in Hey Arnold! : De Jungle Film! Het verhaal gaat verder waar we in 2004 gebleven waren en Arnold en zijn vrienden gaan op een schoolreisje. Maar dit is niet zomaar een schoolreisje: de vriendengroep gaat op het avontuur van hun leven! Ze gaan de jungle in om Arnold's droom te vervullen: zijn ouders vinden, die op mysterieuze wijze verdwenen zijn. Veel van de herkenbare en vertrouwde stemmen van de originele cast zijn te horen in deze film, waaronder Seb van den Berg (originele stem van Arnold), Tido Visser (originele stem van opa) en Ajolt Elsakkers (originele stem van meneer Simmons). De klassieke Nickelodeon-show Hey Arnold! werd in de Benelux al uitgezonden voordat Nickelodeon daar bestond: door de VPRO in Villa Achterwerk en door Ketnet in Vlaanderen. Bij de lancering van Nickelodeon in de Benelux in 2002 verhuisde de serie naar Nickelodeon, waar het één van de langstlopende series was. Nickelodeon is het merk voor kinderen binnen de merkenportfolio van Viacom International Media Networks Benelux. De van oorsprong Amerikaanse zender is wereldwijd één van de grootste entertainmentmerken voor kinderen, in België is Nickelodeon de nummer 1 commerciële kinderzender. Ook zijn in België zusterzenders Nick Jr., NickToons en Nick Music te zien. Het is de plek waar kinderen op de eerste plek staan; zij staan centraal in alles dat Nickelodeon doet. Van de ontwikkeling van series, websites, apps en social media tot events en consumentenproducten. De Nickelodeon-programmering is speciaal ontwikkeld voor kinderen in de leeftijd van 4 tot 14 jaar en bestaat onder meer uit live action, animatie en game shows. Het entertainmentmerk besteedt veel aandacht aan het lokaliseren van de zender voor de Belgische kijker. Zo is een groot deel van de live action- en animatieseries in het Vlaams nagesynchroniseerd en zijn er veel producties te zien uit België en Nederland, zoals De Ludwigs, Snap het, Droomkamers en Cool Factor. Ook heeft Nickelodeon sinds dit jaar met Stef Poelmans een eigen gezicht in Vlaanderen. Nickelodeon heeft in Vlaanderen een marktaandeel van 9% onder kinderen in de leeftijd van 4 tot 14 jaar. Online bereikt de Nickelodeon-website bijna 170.000 unieke bezoekers per maand. Nickelodeon is in België te zien via Proximus op kanaal 134 en via Telenet op kanaal 31. Meer Nick: The Cast Of Nickelodeon Benelux's 'Het Huis Anubis' Reunite For One-Off Reunion Special | SIBUNA | House Of Anubis! Originally published: Friday, January 26, 2018. Original source: YouTube /@PandFDutchSongs; H/T: ToonZone Forums /@Red Arrow :D; Additional source: Google Translate. Follow NickALive! 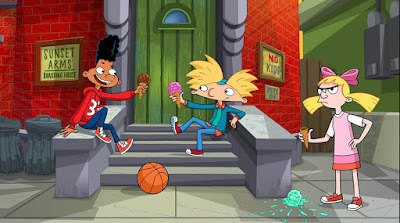 on Twitter, Tumblr, Google+, via RSS, on Instagram, and/or Facebook for the latest Nickelodeon Benelux and Hey Arnold! : The Jungle Movie News and Highlights! SpongeBob SquarePants not only has the biggest heart of gold under the sea, but he has surfaced from Bikini Bottom to the shores of Spain and painted it GOLD! Nickelodeon Spain (España) has collaborated with Spanish fashion designer Ion Fiz for two brand-new SpongeBob SquarePants (Bob Esponja) fashion line! 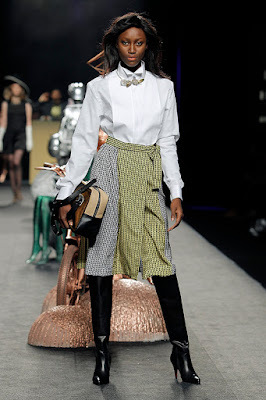 Ion Fiz showcased his interpretation of Nickelodeon's iconic sponge by turning up the GOLD Heat last week at the first Mercedes-Benz Fashion Week Madrid of 2018. The ION FIZ X SpongeBob Gold Collection mixes Ion Fiz's signature brand of fashion with the fun and energy of superstar SpongeBob SquarePants for a truly Sponge-Tastic new range of apparel. The collection will form part of Nickelodeon's year-long SpongeBob Gold international campaign, celebrating Nickelodeon’s incurably optimistic and earnest sea sponge, SpongeBob SquarePants. 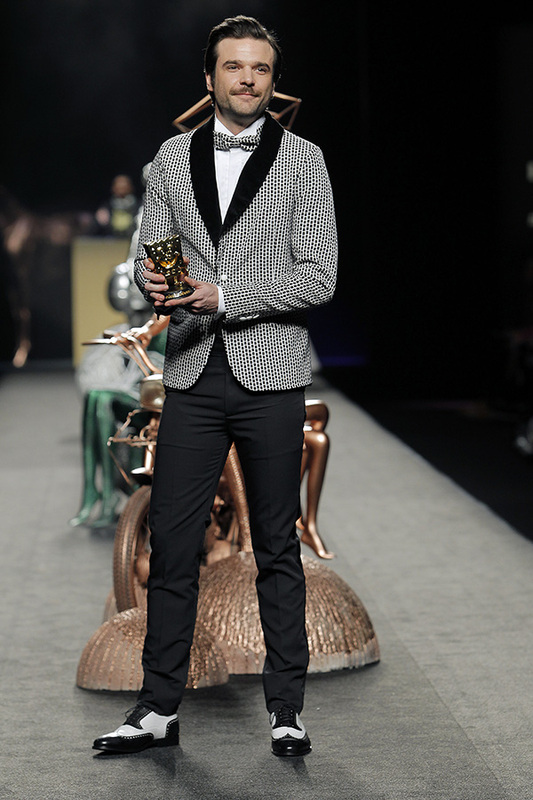 SpongeBob Gold also includes an innovative collaboration with eight international designers – Peter Jensen, Bobby Abley, Salar, Maria Francesca Pepe, Suecomma Bonnie and Bad Denim, Tities Sapoetra, and Malafacha - who have designed a SpongeBob Gold fashion collection featuring clothing for men and women as well as footwear, accessories and jewellery. The bespoke ION FIZ X SpongeBob Gold Collection features two fashion lines in which the designer highlights the famous silhouette of Nickelodeon's iconic character. 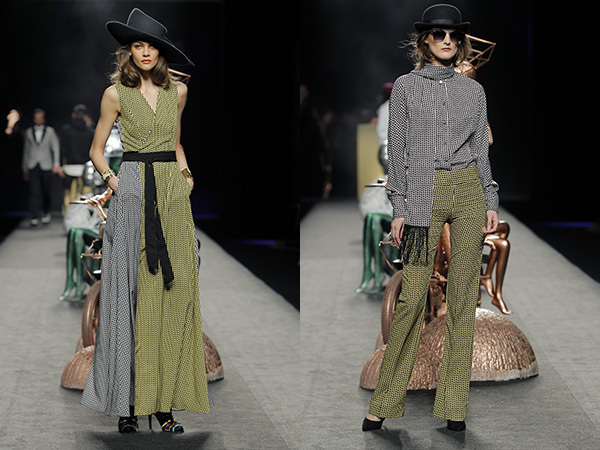 Unique pieces from the collection include silk trench coats, tuxedos, sweatshirts and dresses made using soft, comfortable and elegant fabrics which are decorated with yellow touches to represent SpongeBob SquarePants, which are suitable to wear day or night. The collection is complemented by a line of men's sports shoes which feature SpongeBob prints. Ion Fiz is a huge fan of Bob Esponja, having watched the beloved Nickelodeon animated series since it first launched. Dylan Brown, an animator on Pixar movies such as The Incredibles and Monsters Inc., was making his feature directorial debut. 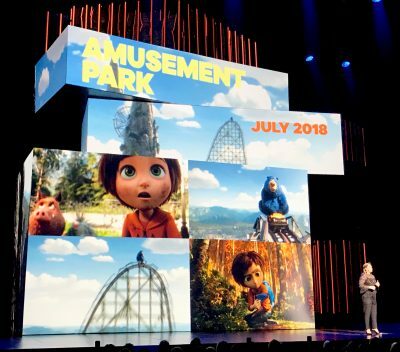 Dylan Brown has been fired as director of Paramount Animation & Nickelodeon Movies' upcoming theatrical movie Amusement Park due to complaints of "inappropriate and unwanted conduct," The Hollywood Reporter has learned. 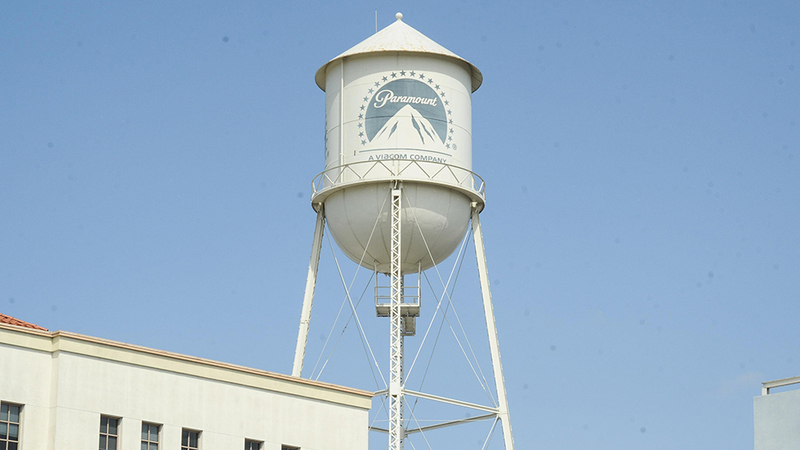 Paramount launched an investigation following complaints that were corroborated by multiple women, a source with ties to the project said. The alleged conduct included touching and caressing, according to a source. Brown was let go a week and a half ago after Paramount’s investigation. At this time, no specific details behind the multiple allegations have been disclosed. One source claims that Brown was accused of making sexually charged comments that were inappropriate for the workplace, and that there were alleged instances of unwanted touching. It has been confirmed that none of the female voice talent working on the film were part of those accusing the director of misconduct. This move by Paramount is certainly in the best interest of the studio, especially when dealing with the release of an animated film geared towards families. Any controversy surrounding the movie could not only hurt box office, but future working relationships for the studio. It’s important for Hollywood to keep weeding out people like this from the industry. Written by Lino DiSalvo, Amusement Park is well into the production process and is set for release on Friday 15th March 2019. The movie has lined up a voice cast that includes Matthew Broderick, Jennifer Garner, Jeffrey Tambor, Kenan Thompson, Ken Jeong, Mila Kunis, and John Oliver. The film is being animated in Spain by Ilion Animation Studios, the studio that made Planet 51, Mortadelo and Filemon: Mission Implausible. Pixar veteran Brown worked at the studio for nearly two decades. He started at the studio in 1995, and worked as an animator or supervising animator on films like A Bug’s Life, Toy Story 2, Finding Nemo, The Incredibles, Monsters, Inc, Ratatouille, among others. He later became the creative director of the short-lived Pixar Canada in Vancouver. He was making his directorial debut with Amusement Park. He was also set to direct a animated Nickelodeon series based on Amusement Park that was slated to bow in 2019/2020 after the movie’s release. There is no word yet if the situation will affect the series. Strangely, it’s being reported that the film is mostly finished and Paramount won’t be finding a new director to replace Brown, even though the film doesn’t come out until March 15, 2019. Someone will still be overseeing completion of the project, but the studio isn’t officially replacing Brown and the release date won’t be pushed back. This is an odd move, because animation directors (at least at Pixar) have said that the final year of production is one of the most intensive. While the story may be completed, there are tons of deadlines to meet as far as completing animation is concerned and someone needs to keep everyone on track. It’s likely that someone will be taking care of that responsibility, but they just aren’t being named the official director, perhaps because of guild rules or something like that. But maybe Pixar operates differently than other animation studios. There’s also the chance that the movie really is close to being finished despite having a year left to complete the movie. When the project was originally announced back in 2015, the release date was set for March 22, 2019. But just one year ago, the release date was bumped up to July 13, 2018, only to be pushed back a bit later to August 10, 2018. Then finally in August of last year it was pushed back to March 15, 2019, one week before the original release date. So if the film was operating under the assumption that the film would be released in 2018 for most of last year, they could really be close to being finished. Both Nickelodeon and Paramount are owned by the same parent company, Viacom. Lizzy Greene (Nicky, Ricky, Dicky & Dawn) can’t wait to show you her new favorite thing -- Knight Squad, Nickelodeon’s Brand New Comedy! 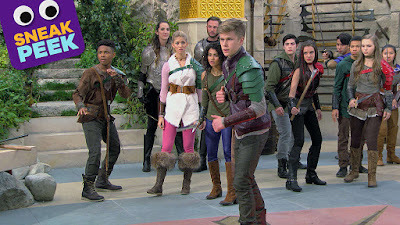 Check out this sneak peek of Arc (Owen Joyner), Ciara (Daniella Perkins) and the Phoenix Squad battling a stone warrior. Catch the premiere of Knight Squad, February 24th on Nickelodeon USA! Online on Nick USA's brand-new official Knight Squad show website, fans can find out more information about Nickelodeon all-new sitcom, plus watch a fantastic first-look at the movie! In Nick's sneak-peek, titled "The Squad Unites", Knight school has just started and Arc is getting to know his cool new squad, the Phoenix squad! 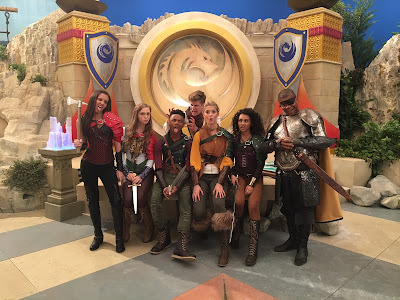 Knight Squad stars Owen Joyner (100 Things To Do Before High School) as “Arc,” Daniella Perkins (Legendary Dudas, Blurt) as “Ciara,” Amarr M. Wooten (American Housewife) as “Warwick,” Lexi DiBenedetto (Modern Family) as “Prudence,” Lilimar (Bella and the Bulldogs) as “Sage” Kelly Perine (Santa Hunters) as “Sir Gareth; and Seth Carr as Fizzwick. Tenzing Norgay Trainor will also guest star on the show as a character named "Jimbo". Picked up for an initial 20 episodes, Knight Squad is created and executive produced by Sean Cunningham and Marc Dworkin, executive producers of The Thundermans, and being produced by Liv and Maddie producers John D. Beck and Ron Hart. Drake Bell (live action Fairly OddParents, Drake & Josh), David Kaufman (Danny Phantom), Jerry Trainor (iCarly, TUFF PUPPY, Drake & Josh, Wendell & Vinnie), Jeremy Rowley (Bunsen Is a Beast, iCarly), Daran Norris (Fairly OddParents, Ned's Declassified School Survival Guide), Susan Blakeslee (Fairly OddParents) join Butch Hartman to celebrate 20 years at Nickelodeon! Live audience members ask Q's at the special event podcast LIVE at Nickelodeon Animation Studios... Drake Bell (live action Fairly OddParents, Drake & Josh), Butch Hartman, David Kaufman (Danny Phantom), Jerry Trainor (iCarly, TUFF PUPPY, Drake & Josh, Wendell & Vinnie), Jeremy Rowley (Bunsen Is a Beast, iCarly), Daran Norris (Fairly OddParents, Ned's Declassified School Survival Guide), Susan Blakeslee (Fairly OddParents) give A's on stage! Special event podcast LIVE at Nickelodeon Animation Studios - Butch Hartman's 20 Years at Nick! Drake Bell (live action Fairly OddParents, Drake & Josh) joins Butch, David Kaufman, Jerry Trainor (iCarly, TUFF PUPPY, Drake & Josh, Wendell & Vinnie), Jeremy Rowley (Bunsen Is a Beast, iCarly), Daran Norris (Fairly OddParents, Ned's Declassified School Survival Guide), Susan Blakeslee (Fairly OddParents), and Jace Diehl on stage! What’s better than challenges? Kids’ Choice Awards challenges! And what’s better than Kids’ Choice Awards challenges? Kids’ Choice Awards challenges with your favorite Nick stars! Watch Jace Norman (Henry Danger), Lizzy Greene (Nicky, Ricky, Dicky & Dawn), JoJo Siwa and more take on the “Say What Nominee Challenge”, the “Nominee Knockout Challenge”, “The Big Draw Challenge” and a very messy “Slime N’ Says”. Comment on YouTube and let Nick know which one was your favorite! Catch the 2018 Nickelodeon Kids’ Choice Awards, hosted by WWE superstar John Cena, airing LIVE on March 24, from 8-9:30 p.m. (ET/PT), only on Nickelodeon USA and YTV Canada! More Nick: Enter Nickelodeon's Kids' Choice Awards Sweepstakes And Win Tickets To KCA 2018! Follow NickALive! on Twitter, Tumblr, Google+, via RSS, on Instagram, and/or Facebook for the latest Nickelodeon and Kids' Choice Awards 2018 News and Highlights! Regal Academy | Season 2 - Top 5 fairytale couples! Pumpkin seeds! Are you ready to discover the most tender, sweet and romantic Regal Academy’s couples? Leave a comment on YouTube and tell Regal Academy which hero from the show you would choose to spend Valentine’s Day! Watch Regal Academy on Nickelodeon and Nick Jr.! More Nick: Nickelodeon To Debut "Regal Academy" Season Two Globally In 2018! Follow NickALive! on Twitter, Tumblr, Google+, via RSS, on Instagram, and/or Facebook for the latest Valentine's Day on Nickelodeon and Regal Academy News and Highlights! When Ronnie Anne tells Lori that her family are going to be moving house, she races over with Lincoln in tow. Featuring the voice of Breanna Yde from School of Rock. Catch brand-new episodes of The Loud House weekdays at 8:00am on Nicktoons UK & Ireland! More Nick: Lincoln Loud To Host Nicktoons UK This January/February | Nickelodeon UK! Follow NickALive! on Twitter, Tumblr, Google+, via RSS, on Instagram, and/or Facebook for the latest Nickelodeon UK, Nicktoons UK and The Loud House News and Highlights! Cómo Hacer una Trenza de la Amistad | Archivos de Estilo Tutorial de Peinado | Sunny Day | Nick Jr.
It’s time to get styling with Sunny Day’s Style Files! Watch this hair tutorial to learn how to make a fabulous friendship braid. Give it a try and look just like Sunny from the brand-new series, Sunny Day! It’s easy — just follow along with Sunny’s hairstyling instructions. All you’ll need is a hairbrush, hair clips, a teasing comb, hair elastics, pink hairspray, and some paper towels. To find more Sunny Day videos, games, and a collection of kids' songs, visit nickjr.tv! Sunny Day premieres Monday 5th February 2018 at 9:20am! Visit nickjr.es for more Sunny Day! Follow NickALive! on Twitter, Tumblr, Google+, via RSS, on Instagram, and/or Facebook for the latest Nick Jr. España, Nickelodeon Spain and Sunny Day News and Highlights! Let’s get styling with Sunny Day! Sing-along to this theme song music video for the brand-new animated cartoon series, Sunny Day! Help your child follow along to learn the lyrics below and join Sunny, Blair, Rox, and her adorable pup, Doodle, as they gear up and GO! To find more Sunny Day videos from our collection of kids songs, plus Sunny Day games for kids, visit nickjr.tv! Having a sunny, sunny day! Nickelodeon USA will premiere the brand-new PAW Patrol "Sea Patrol" specials "Sea Patrol: Pups Save the Sunken Sloop" and "Sea Patrol: Pups Save a Wiggly Whale" on Monday 19th February 2018 at 12:00pm ET/PT! Additionally, Nick will start to air brand-new episodes from the all-new fifth season of PAW Patrol (26 half-hour episodes) on Tuesday 6th February 2018 at 12:00pm ET/PT! 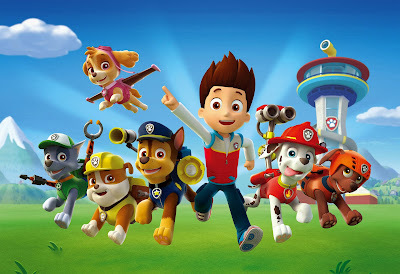 Leading up to the debut of PAW Patrol season five, Nickelodeon will premiere the fourth season finale of PAW Patrol, "Pups Save Baby Humdinger/Pups Save a Pinata" on Thursday 1st February 2018 at 12:00pm. 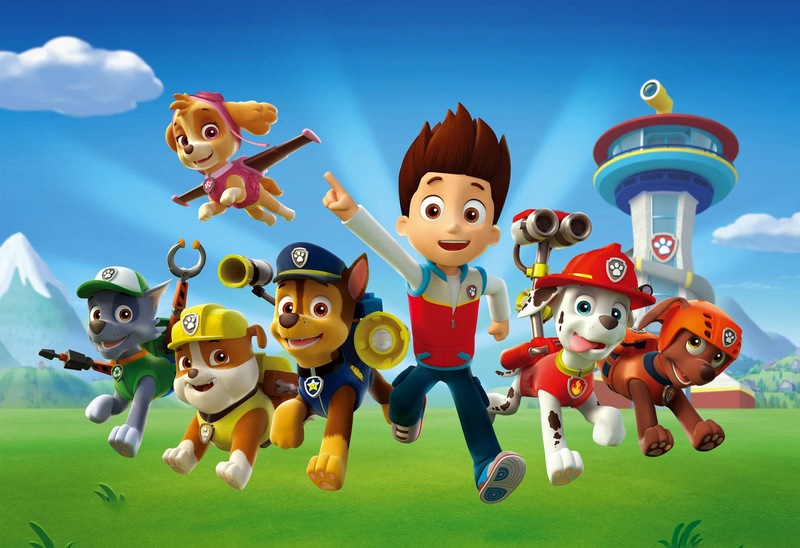 More Nick: Spin Master Considering Making A 'PAW Patrol' Movie! Original sources: Zap2it TV Listings, TheFutonCritic.com. Follow NickALive! on Twitter, Tumblr, Google+, via RSS, on Instagram, and/or Facebook for the latest Nickelodeon Preschool, Nick Jr. and PAW Patrol News and Highlights! Nickelodeon USA will host the network premiere of the blockbuster movie The Nut Job (2014) on Tuesday 13th February 2018! 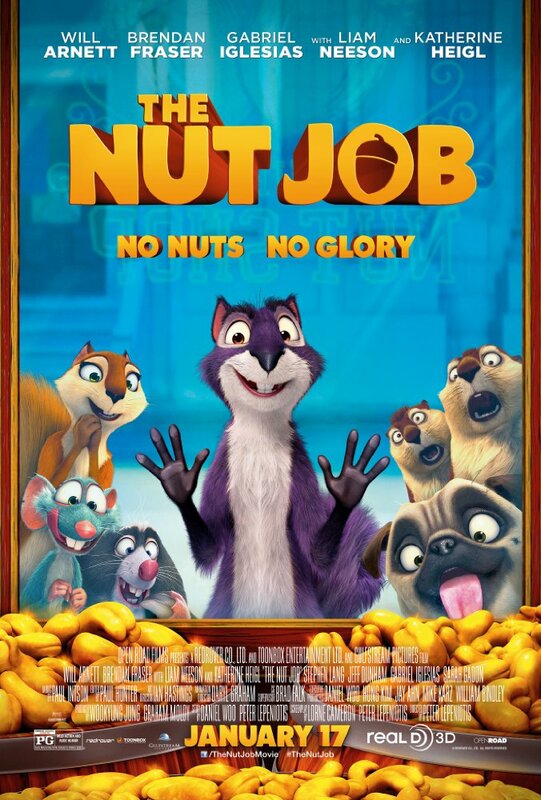 The Nut Job is an action-packed comedy that follows Surly, a mischievous squirrel, who must plan a heist to get into his town’s biggest nut shop in order to help his pals in the park gather food to survive the winter. Together with his sidekick, Buddy, he will assemble a ragtag crew to help him get inside – and take them on a fun-filled adventure they’ll never forget! In The Nut Job, after he accidentally destroys the winter food supply of his fellow Liberty Park residents, Surly (Will Arnett, Teenage Mutant Ninja Turtles), a squirrel, is banished to the streets of Oakton. Luckily, Surly finds the town's nut shop and hatches a plan to plunder its bounty. However, unbeknown to Surly and his ragtag team of animal associates, the nut shop is really a front for mobsters who plan to rob the bank next door. While Surly and his team break in to the shop, the mobsters carry out their own scheme! The Nut Job features a stellar voice cast, including: Will Arnett as Surly, Brendan Fraser as Grayson, Liam Neeson as Raccoon, Katherine Heigl as Andie, Stephen Lang as King, Maya Rudolph as Precious, Jeff Dunham as Mole, Gabriel Iglesias as Jimmy, Sarah Gadon as Lana, James Rankin as Fingers, Scott Yaphe as Lucky, Joe Pingue as Johnny, Annick Obonsawin as Jamie (as Annick Obonswin), Julie Lemieux as a Girl Scout, Rob Tinkler as Redline / Buddy, James Kee as Rat / Armoured Guard, Scott McCord as Police Officer / Misc. Animals, and Katie Griffin as a Pigeon, and a special cameo from Psy (archive sound)! The Nut Job is directed by Peter Lepeniotis, and is based on his 2005 short animated film, Surly Squirrel. More Nick: Nickelodeon USA's February 2018 Premiere Highlights! Original source: Nickandmore! ; H/T: Huge thanks to @TVShowsFan for the news! ; Additional sources: Google.co.uk, IMDb, Amazon.co.uk, Wikipedia. Follow NickALive! on Twitter, Tumblr, Google+, via RSS, on Instagram, and/or Facebook for the latest Nickelodeon and Hunter Street News and Highlights! Nickelodeon USA will host the network premiere of the hit movie The Princess Diaries (2001) on Thursday 1st March 2018! Shy San Francisco teenager Mia Thermopolis (Anne Hathaway) just wants to get through the rigours of high school unharmed, avoiding as many of life's petty embarassments as possible. However, when her long-lost grandmother Clarisse (Julie Andrews, The Sound of Music) appears out of the blue, Mia gets the surprise of her life; it seems she is the real-life princess of a small European principality called Genovia, and is in fact next in line to the throne. Angry that this news has been kept from her, Mia nevertheless agrees to embark on a crash course of princess lessons. But when she begins to get lost in a comic flurry of bungled state engagements and over-eager media attention, the prospective princess and heir apparent to the crown begins to wonder if the royal life is really the right life for her. The Princess Diaries is produced by Debra Martin Chase, Whitney Houston, and Mario Iscovich. Ellen H. Schwartz serves as a co-producer. The movie is based on the novels by Meg Cabot. Nickelodeon USA will host the network premiere of Shaun the Sheep Movie (2015), the blockbuster movie based on the hit animated series Shaun the Sheep, on Thursday 15th February 2018! When Shaun decides to take the day off and have some fun, he gets a little more action than he bargained for! 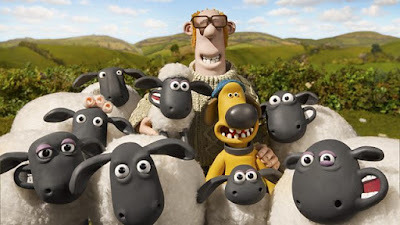 In Shaun the Sheep Movie, all is well at Mossy Bottom Farm, except for the fact that the animals will do anything to get out of work. So, Shaun the sheep and his scheming friends devise a plan to put their master to sleep. However, the ruse backfires when the poor farmer finds himself transported to the big city, having lost his memory. Now, it's up to Sean, Timmy the lamb, Shirley the ewe and the rest of the flock to travel to the Big City, navigating dangerous obstacles such as a caravan and a very steep hill along the way, and get the farmer and themselves back to the green grass of home safely, all while not landing in even more trouble themselves! Shaun The Sheep - The Movie features the voices of Justin Fletcher as Shaun / Timmy, John Sparkes as The Farmer / Bitzer, Omid Djalili as Trumper, Richard Webber as Shirley, Kate Harbour as Timmy's Mum / Meryl, Tim Hands as Slip, Andy Nyman as Nuts, Simon Greenall as Twins, Emma Tate as Hazel, Jack Paulson as the Celebrity with Hair Trouble (voice), Sean Connolly as the Maitre D / Golfer / Stylists / Angry Panto Horse / Hospital Characters, Henry Burton as a Junior Doctor / Animal Containment Visitor, as Dhimant Vyas as Hospital Consultant, Sophie Laughton as a Animal Containment Visitor (voice), Nia Medi James as the Operatic Sheep (voice), and Stanley Unwin as the Bus Station Announcer / Hospital Announcer, and a special cameo from the creator Aardman Animations' Shaun the Sheep and Wallace and Gromit, Nick Park. Original source: Nickandmore! ; H/T: Huge thanks to @TVShowsFan for the news! ; Additional sources: Google.co.uk, shaunthesheep.com, IMDb, Amazon.co.uk, Wikipedia (II), BBC One. You've asked for it and here it is... Jimmy Timmy Power Hour 4! Timmy Turner and Jimmy Neutron crossover to different Nicktoons universes including: Danny Phantom, SpongeBob SquarePants, Avatar: The Last Airbender, CatDog, Ren & Stimpy, and more! More Nick: The UNTOLD, ANIMATED Origin of DANNY PHANTOM | Butch Hartman’s Animated Life! Follow NickALive! on Twitter, Tumblr, Google+, via RSS, on Instagram, and/or Facebook for the latest Nickelodeon and Nicktoons News and Highlights! An exclusive peek inside the life and sprawling home of Kid Danger (Jace Norman) tonight on MTV Cribs. Catch Jace in: The Adventures of Kid Danger, Fridays at 6:30pm ET/PT; brand-new episodes of Henry Danger in February; and the brand-new Nickelodeon Original Movie Blurt, premiering Monday 19th February 2018 at 7:00pm ET/PT, only on Nick USA! More Nick: Nickelodeon USA To Celebrate Valentines Day Weekend With Brand-New Episodes Of 'Henry Danger' & 'Game Shakers' On 2/10! Follow NickALive! on Twitter, Tumblr, Google+, via RSS, on Instagram, and/or Facebook for the latest Nickelodeon, Henry Danger and The Adventures of Kid Danger News and Highlights! The Hunter Street kids are solving a brand new mystery with secret messages hidden in puzzles, lockets, and a cryptex. And now you can make your own disappearing messages with these three do-it-yourself tutorials! Find out how common household items like crayons and juice can hide and reveal surprises! Catch brand-new episodes of Hunter Street season 2, weeknights at 7:00pm ET/PT, only on Nickelodeon USA! Visit nick.com/hunterstreet and the Nick App for lots more Hunter Street videos and games! TOKYO, 30 JANUARY 2018 – Viacom International Media Networks (VIMN) has announced its additional Nickelodeon distribution deal with Hulu in Japan today, which sees the new Nickelodeon linear channel via ‘over-the-top’ (OTT) and mobile platforms in Japan. The channel goes live today on both Hulu in Japan and “dTV-ChannelTM” (an NTT DOCOMO INC’s service). This is the first time internationally Viacom has made a Nickelodeon-branded subscription TV channel available only via streaming services. The newly packaged subscription-based 24/7 linear channel offers original programming for Japanese audiences and a range of iconic Nickelodeon animation titles including SpongeBob SquarePants, Dora the Explorer and Teenage Mutant Ninja Turtles and new hits like Shimmer & Shine and Blaze and the Monster Machine. “Launching Nickelodeon today in Japan is a significant milestone for us as we continue to evolve our business with new avenues of growth from OTT and mobile for our flagship brands in mature subscription TV markets like Japan. Furthermore, we are reconnecting Japanese viewers with Nickelodeon, through the channel’s availability not only on one, but two OTT platforms in Japan today,” said Mark Whitehead, President and Managing Director, Asia Pacific, Viacom International Media Networks. The extended collaboration with Hulu in Japan follows the successful launch of MTV MIX channel on Hulu in Japan last year. MTV MIX is also launching on “dTV-Channel” today. Hulu is an online video subscription service offering over 40,000 films, TV drama and animated episodes for only 933 yen (excluding tax) a month. Unlimited number of programs are available anytime anywhere, on TV sets connected to internet, PCs, smartphones and tablets. The lineup includes “Hulu Premier” offering exclusive first view in Japan, “Hulu Originals” created by Hulu, viewing of missed TV episodes and live music streaming. Unlimited viewing of programs including many Hulu exclusive contents is available for a fixed monthly price. Nickelodeon, now in its 38th year globally, has built a diverse, global business by putting kids first in everything it does. The company includes television programming and production in the United States and around the world, plus special events, consumer products, digital, recreation, books and feature films. Nickelodeon is one of the most globally recognized and widely distributed multimedia entertainment brands for kids and family, with 1.2 billion cumulative subscriptions in more than 500 million households across 170+ countries and territories, via more than 100+ locally programmed channels and branded blocks. Outside of the United States, Nickelodeon is part of Viacom International Media Networks, a division of Viacom Inc. (NASDAQ: VIAB, VIA), one of the world’s leading creators of programming and content across all media platforms. Nickelodeon and all related titles, characters and logos are trademarks of Viacom Inc.
Japan - Japanese mobile phone network operator NTT DOCOMO, INC. has announced the very exciting news that they will be launching their brand new OTT (over-the-top) internet streaming television service, dTV-Channel on Tuesday 30th January 2018! The new service will see the relaunch of Nickelodeon Japan on Tuesday 30th January 2018, which will be returning to Japanese TV screens for the first time in eight years, as a linear channel available via over-the-top and mobile platforms in Japan – marking the first time internationally Viacom International Media Networks (VIMN) will make a Nickelodeon-branded subscription TV channel available only via streaming services! Nickelodeon Japan will broadcast 24/7 and air a wide selection of programming from Nickelodeon's vast library of hit live-action and animated series, including titles such as SpongeBob SquarePants, Dora The Explorer and Teenage Mutant Ninja Turtles. Other kids and anime channels that will be available on the service include Boomerang, Animax and Disney Junior. In total, the service will offer over 30 channels featuring programming for all the family. Channels include: Japanese originated channels and VOD services such as TBS On Demand; three channels from South Korea; and also Japanese versions of famous international television brands including MTV Mix, National Geographic, and History. NTT DOCOMO, INC. will also release a set-top box in which consumers can watch all the TV services offered by NTT DOCOMO, INC., including dTV-Channel, on Tuesday 30th January 2018. Originally published: Monday, January 29, 2018. H/T: Huge thanks to @TVShowsFan for the news! Sources: pc.video.dmkt-sp.jp, Hulu Japan, Wikipedia, RegularCapital, Google Translate, ToonZone Forums /@chum_chum.